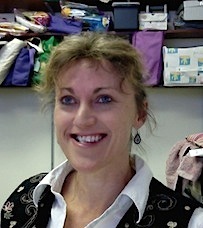 Marg is a Lecturer in the Early Childhood Education team within the School of Education. In a previous role, she worked as an Educational Partnership Broker, creating partnerships through school, business and community that had a learning outcome for birth to 25 year olds. She also taught at the New England Conservatorium of Music running early childhood music and movement classes. Previously Marg ran a music tuition business 'Moree Music' for 7 years. This included council early intervention contracts, instrumental tuition, early childhood music, movement and language programs, infants and primary school bands with community involvement. Marg has taught in adult education colleges, preschools, childcare, infants, primary and high schools in NSW, Tasmania and the Northern Territory in the creative arts and literacy. Marg is passionate about the effects of movement, dance and music on early childhood development and the impact of wellbeing, family life, nutrition and exercise on children. Marg's current research interests are about young children's understanding and experiences of deployment within an Australian Defence Force (ADF) family. She is also working on a joint project with Jo Bird on ‘Exploring educators use of technologies in early childhood settings’, and an app project, creating an app for ADF families. UNE Postgraduate Research Conference - 2018, Armidale. 'Young children's understanding of parental deployment within an Australian Defence Force (ADF) family'. Awarded Speaker of the Day (Day 2). 'Waiting for Daddy', 'Now that I am big' and 'Liam's story' are research-based storybooks for young children, with research information in the back for parents, educators and family workers. It was produced from research data and findings as part of a PhD study entitled 'Young children's experiences and understandings of parental deployment within an Australian Defence Force family'. The eBook is available free to parents, children, educators and family workers in partnership with the Defence Community Organisation and the Department of Defence in the hope to make research accessible to the public and create impact from research. As a consultant, Marg has run workshops, in-services and training sessions for educators and families in a number of education settings.